Check out the photos I just posted from an outreach event we completed in October 2013 as part of the CSU Math, Science, Tech Day. 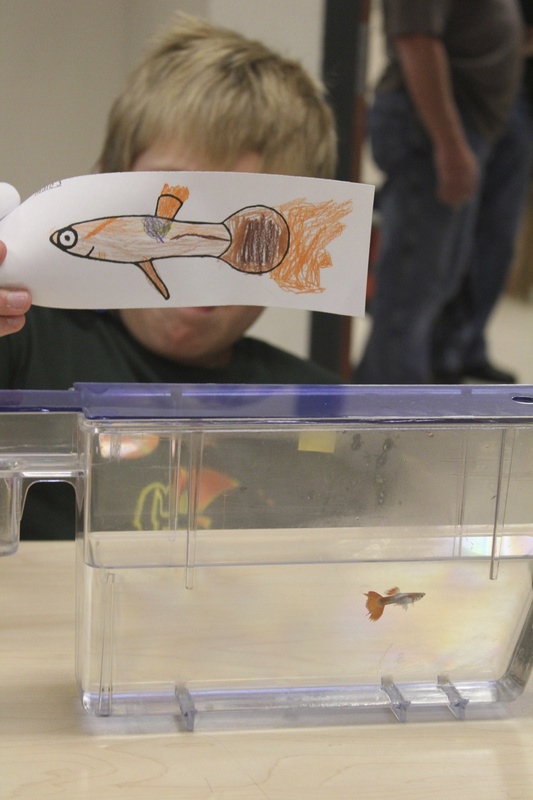 The Colorful World of Guppies was a huge success. 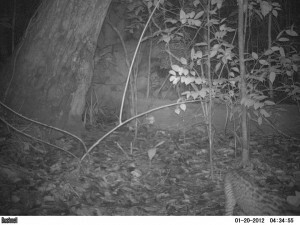 Our camera trap project in Trinidad captured images of ocelots! 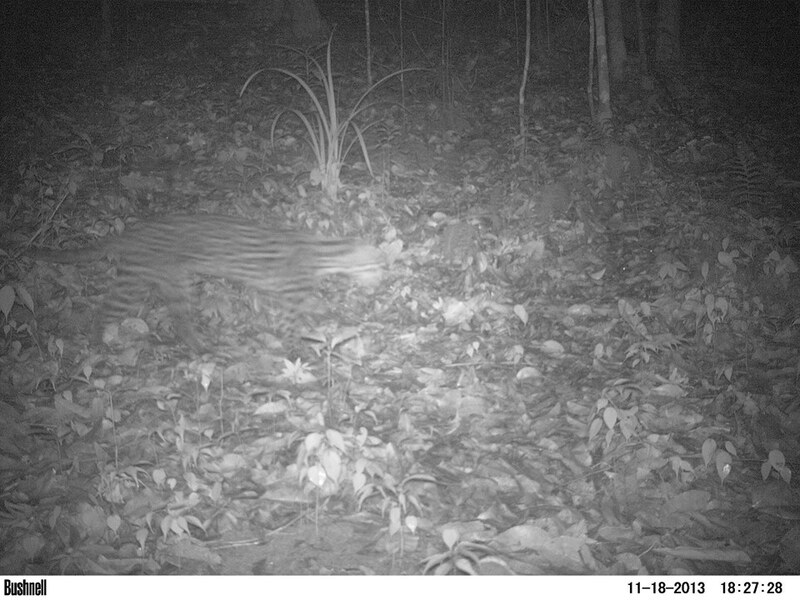 To our knowledge, this is the first documentation of wild ocelots on the island of Trinidad! Big congratulations to everyone involved in this project: Carl Fitzjames , Kelly Warren, Chris Funk, and Sarah Fitzpatrick. A big congratulations to Chris Kopack for winning best undergraduate poster at this year’s Front Range Student Ecology Symposium. 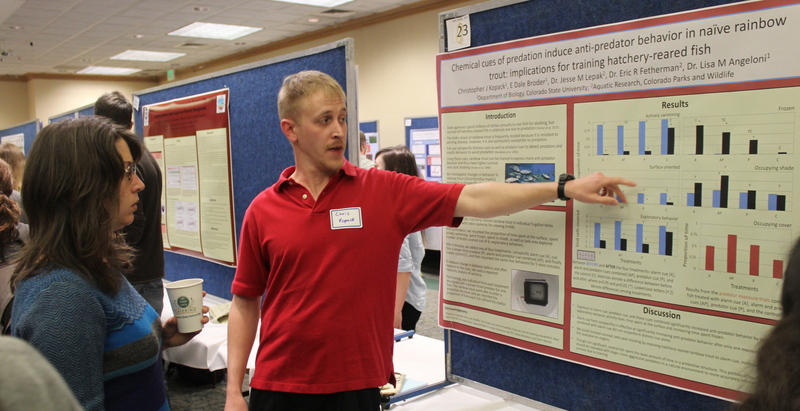 Chris Kopack explains his poster to graduate student Ashley Gramza.